"Here is my Early Christian Martyrs Muscial Chairs. The images and stories I have made and written (anyone is welcome to click on the images to enlarge and download to use) are the crux of this game. It is set up like a normal musical chairs game EXCEPT, have a chair for each child, rather than having one short. There should be an image attached to the back of each chair and when the music is played the children walk around, as soon as the music stops they sit on a chair. Then the adult reads aloud one the saints stories. I've written them to be short and sweet, this is important or you will loose your little audience, but they will learn even those these stories are short. 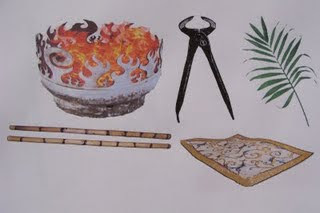 As they hear the story they need to work out whether it is connected to the symbols attached to the chair. If it is, they are out of the game! Their chair is removed, the music continues. It goes on like that until only one chair and child is left standing. If you have say 30 children, allow children to pair up for this game holding hands..."
Continued here at Anne's beautiful blog. An eight-part mini-series on the life of the great saint and mystic Teresa of Avila that airs every Saturday in October. PT 7: Part seven is set in Seville during the summer of 1575, and finds Teresa troubled by illness and the Inquisition. Spanish with English subtitles. PT 8: This episode finds the aging Teresa continuing her great work of reform and ends with her death. Spanish with English subtitles. In this series of lectures, Fr. Robert Barron provides concrete, practical advice on how to become a saint, marking out three specific paths to holiness. "The air is getting chilly. The leaves are beginning to turn. Pumpkins and Indian corn are cropping up at all the local farms. And Christians across America are beginning to grow uneasy as Hallowe’en approaches. The day of the Great Pumpkin has become an occasion for the Great Debate about whether or not to celebrate this increasingly secularized—and increasingly macabre—holiday. Sometimes though, in the “to dress as a witch or not to dress as a witch” debate, we lose sight of the fact that whether or not we celebrate Hallowe’en in a secular or pseudo-secular manner, we Christians are meant to celebrate it together as a holy vigil! Many people make the mistake of thinking that Hallowe’en is a pagan holiday. While it is true that many Northern European countries held pagan celebrations on or around October 31st, the holiday of Hallowe’en, or All Hallows Eve, is actually of Christian origin. In the 9th century, Pope Gregory IV moved the Christian feast days of All Saints and All Souls from May to November so that they could be celebrated simultaneously on the first of November. The final night of October became the vigil or Eve of all the Hallows. (Today, All Souls’ Day is celebrated on the 2nd of November as its own holiday.) Since All Hallows’ Eve happened to coincide precisely with Samhain, the Celtic festival of the dead, it was natural for the Celts to incorporate their ancient customs into their celebration of this new holiday which also focused on those who had preceded them in death. It is natural to want to confront those things, like death, which frighten us most. Hallowe’en gives us ample opportunity to scare and to be scared. Besides, how often do we get the chance to play dress up? And, of course, who doesn’t look forward to the treats of Hallowe’en—the candied apples, toasted pumpkin seeds, doughnuts, caramel corn, and the tons of candy?..." Read the full article here. Saints in November on EWTN! A wonderful line up of saints stories coming up on EWTN in November! Take alook at this awesome blog for some ideas on the saints. I'll be back later to post some games and things. I'll be posting some great games for your kids for All Saints' Day celebrations and All Hallow's Eve. I meant to do it today but the day got away with family, writing work and teaching CCD, appointments and more. I do have a very cute story to tell you tomorrow. One of my 3rd grade CCD students came out with a real gem today! Feel free to share your ideas for family fun and alternatives to gory and scary stuff this Halloween time. Have a BLESSED night and I'll talk to you tomorrow. "With Halloween approaching, there are ghosts, goblins and witches everywhere you turn. But on bookstore shelves, wizards and vampires seem to enjoy year-round popularity, especially in the sections for young readers. Rochester Hills writer Nancy Carabio Belanger says she doesn’t have a problem with that, but she does wonder if parents are aware of the dark and even racy themes in some of the books pre-teens are reading. Belanger said that many popular books carry some content that is too heavy for tweens. She cites the immensely popular “Twilight” series specifically, saying they include elements of violence and sexuality that may surprise unsuspecting parents. Belanger said she doesn’t want to burn anybody’s books. But she does want parents, teachers, churches and other adults to be aware of the need for balance in a tween’s reading materials. “You wouldn’t let your kids eat nothing but a steady diet of junk food,” she said. 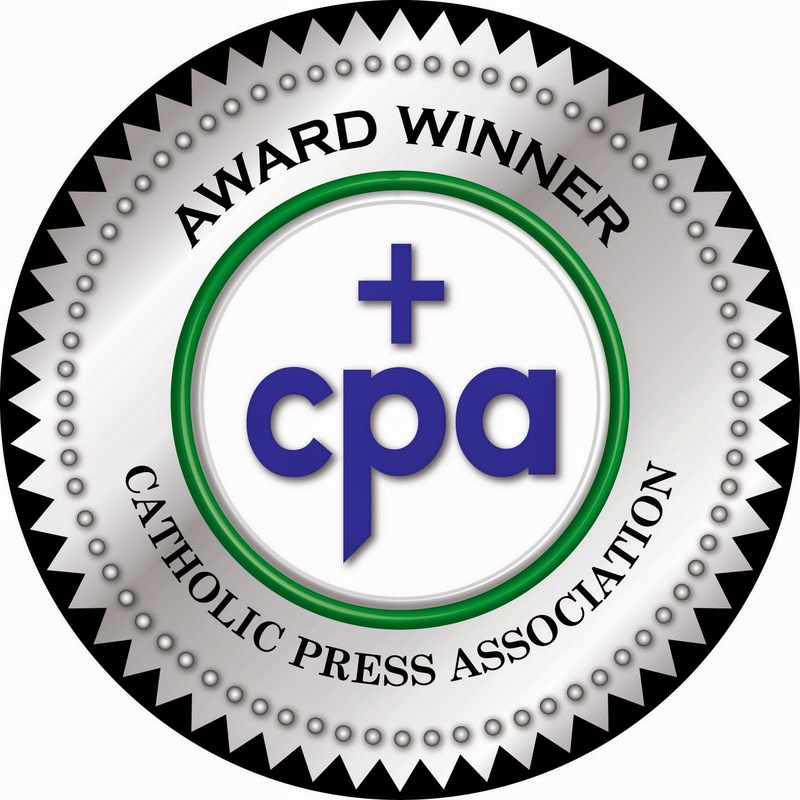 Belanger is the author of “Olivia and the Little Way,” winner of the 2009 Catholic Press Association Book Award. In the book, fifth-grader Olivia moves to a new school and tries to fit in. She makes mistakes and finds help in the most unexpected places: her grandmother and St. Therese of Lisieux..."
Nancy gives us alternatives this Halloween season. Check the article here. By the way, I love Nancy's book, Olivia and the Little way and have endorsed it. Jessica at Shower of Roses has many creative ideas. Here are some of her costumes. You can go to her blog for all of the directions. She also lists a pdf file towards the end of her post which has a bunch of more costumes to choose from and many more ideas! Take a look at her blog. She is full of creative ideas. Use and adult T-shirt, with a rope, sash, or belt around the waist, sandals, and there is your costume! Or use brown, gray, or black material, cut a hole in the top when folded in half. Use face paint for beard. St. Francis: cut out a bird and safety pin it on his shoulder, put on some patches. One year a friend of mine pinned all sorts of stuffed animals to the base of her sons habit. It was SO cute! St. Brendan: 400-500’s, Irish missionary monk in brown habit that went to America before the Vikings or Columbus! St. Theophylact: Asian Monk, 8th century, established hospices, imprisoned the last 35 yrs. of life. 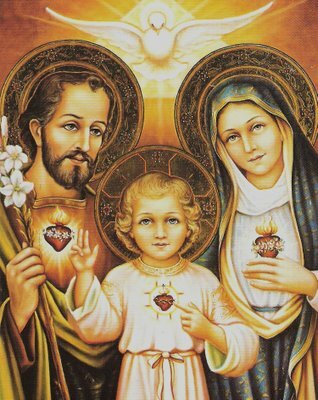 St. Joseph: foster father of Jesus, carpenter by trade, hang a hammer from the belt. St. John the Baptist: fake fur or leather & sandals. Perhaps tie a strip of cloth around the forehead." Here are some more costumes and directions (the pdf I mentioned with lots more ideas). Tomorrow, I plan to post a lot of ideas for games for All Saints' celebrations. Please chime in and offer your own ideas for costumes, games, activities, stories, or whatever you'd like to share. SNEEK PREVIEW! 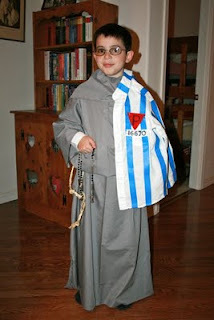 Get ready for some cute costumes and directions for your All Saint's Day parade, All Hallows Eve party or just for fun. Here are a few images that I'll tell you about tomorrow. click here to hear my chat this morning with Teresa Tomeo. We talked about Halloween, alternatives to the tradional Jack O'Lanterns, All Saints Day, kids, families, the culture, my week end retreat at the Abbey, our upcoming trip to Rome, my Mother Teresa Book and more! Pro-Life Pumpkins and Saint O'Lanterns! How about focusing on the saints and precious life this time of year and stay away from the gory scary images? I am going to have an All Saints party with my CCD class this week rather than a Halloween Party. We may even carve a pumpkin or I may bring it with me for a decoration. 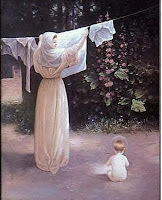 Teresa Tomeo and I chatted about these images earlier this morning on our segment together, "Mom's Corner" on Catholic Connection (Ave Maria Radio) and aired through EWTN. Go on over to Catholic Cuisine for some more great ideas and the directions. Check out the American Life League website for directions and down loadable template for this unborn baby image. Have fun with these. I'll be back later to post some additional ideas. By the way, I'll also be posting a link to my radio show this morning as soon as I get the mp3. I hope you can tune in to my chat with Teresa Tomeo on Monday morning on Ave Maria Radio on "Catholic Connection." Just tune in tomorrow, Tuesday at 9:15 AM Eastern Standard Time by clicking here at avemariaradio.net and then click "listen live." 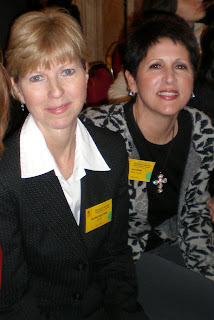 I'll be chatting with my dear friend, Teresa Tomeo tomorrow morning on "Mom's Corner" on Catholic Connection. I hope you can join us. We'll be talking about a variety of things pertaining to Moms, family life, Halloween, All Saints Day and more. 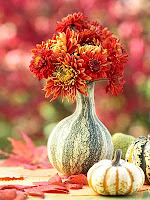 I'll be posting some fun ideas and fall decorations on this blog which will include directions to make the gourd vase shown here. Have a blessed Sunday. I'll be back with more information about how to tune in tomorrow as well as snippets from my retreat week end at a beautiful and holy Benedictine Abbey in MA. 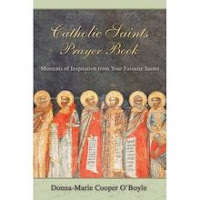 You can check out a new review for my book: Catholic Saints Prayer Book here. Just checking in with you. I've been busy working on books and articles and dealing with some health issues too. I'd like to ask for prayers for a woman I know in Texas where I gave a retreat. She is due to give birth in December and just had to be rushed to the hospital with complications. Please say a prayer for Rosie. She is so faithful and very sweet. A received another urgent request for prayers for a mother who is in Kansas and is in the hospital with the swine flu. She is on a ventilator and her prognosis is not very good. She has two sets of twins at home. Please pray for her too. So many of you have been patiently waiting for my new book about Mother Teresa titled, Mother Teresa and Me: Ten Years of Friendship. I am sorry that there has been a delay over at the publisher. I am told that it is moving along the process and we should be able to see its release in a couple of weeks or so. Again, I am very sorry for the wait. Thanks for your patience. Additionally, I am giving a retreat this week end out of state at a beautiful and holy abbey. You can see their flyer here. Please keep all of the women in your prayers for God's holy will in their lives. Please pray for my journey and that God will speak through me to inspire others. Thank you for accompanying me on this amazing journey through life! 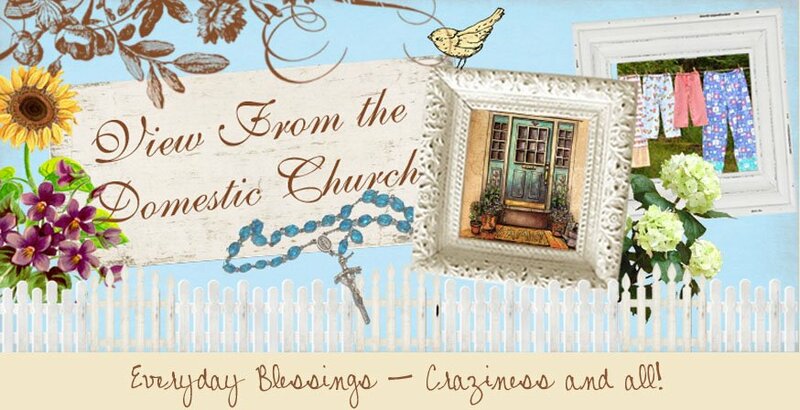 May God bless you and yours in great abundance! "Breast milk contains ingredients which are specific to the child's nutritional needs at certain times of day or night, scientists have found. So giving an infant breast milk expressed in the morning just before it goes to bed is likely to keep it awake. Researcheres looked at three key ingredients of the milk which stimulate or relax the central nervous system, promoting restfulness and sleep, and observed how these varied throughout a 24-hour period. Results showed that the highest concentrations were found in nightime samples taken between 8pm and 8am and that the composition of breast milk changes "quite markedly" during the day. Cristina L. Sánchez, of the University of Extremadura, said: "This made us realise that milk induces sleep in babies." In order to provide the optimum nutrition babies should be given milk at the same time of day that it was expressed from the mother's breast. 'It is a mistake for the mother to express the milk at a certain time and then store it and feed it to the baby at a different time,' added Dr Sanchez whose research involving milk samples taken from 30 women was published in the journal Nutritional Neuroscience. Doctors breast say breast milk is the best food for babies during the first six months of life it not only protects against many illnesses such as colds, diarrhoea and sudden infant death syndrome, but can also prevent future diseases such as asthma, allergies and obesity, and promotes intellectual development. Women who breastfeed lose the weight gained during pregnancy more quickly, and it also helps prevent against anaemia, high blood pressure and postnatal depression. Osteoporosis and breast cancer are also less common among women who breastfeed their children." Enjoying a family Autumn week end! I was in my glory with all of my ducklings in a row this past week end! I'll share some snippets with you. It started out with an abundance of "bounty" as we named the organic vegetables brought to us by my daughter, Chaldea who works on an organic farm. We cooked some of these this past week end and enjoyed many delicious meals. We relished in our time together. The week end went by much too fast for me though - as quickly as we all came together, everyone had to go back to their colleges and homes. You can bet that I'll be counting the days until we can all be together again! That'll probably be Thanksgiving. All things pass away:God never changes. "Teresa lived in an age of exploration as well as political, social and religious upheaval. It was the 16th century, a time of turmoil and reform. Her life began with the culmination of the Protestant Reformation, and ended shortly after the Council of Trent. "The gift of God to Teresa in and through which she became holy and left her mark on the Church and the world is threefold: She was a woman; she was a contemplative; she was an active reformer. "As a woman, Teresa stood on her own two feet, even in the man's world of her time. She was 'her own woman,' entering the Carmelites despite strong opposition from her father. She is a person wrapped not so much in silence as in mystery. Beautiful, talented, outgoing, adaptable, affectionate, courageous, enthusiastic, she was totally human. Like Jesus, she was a mystery of paradoxes: wise, yet practical; intelligent, yet much in tune with her experience; a mystic, yet an energetic reformer. A holy woman, a womanly woman. 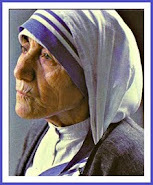 "Teresa was a woman "for God," a woman of prayer, discipline and compassion. Her heart belonged to God. Her own conversion was no overnight affair; it was an arduous lifelong struggle, involving ongoing purification and suffering. She was misunderstood, misjudged, opposed in her efforts at reform. Yet she struggled on, courageous and faithful; she struggled with her own mediocrity, her illness, her opposition. And in the midst of all this she clung to God in life and in prayer. 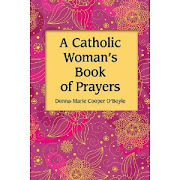 Her writings on prayer and contemplation are drawn from her experience: powerful, practical and graceful. A woman of prayer; a woman for God. "Teresa was a woman 'for others.' 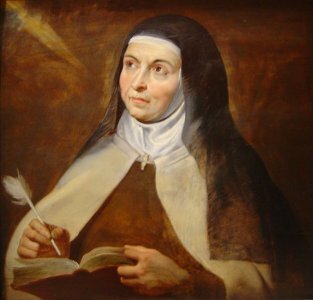 Though a contemplative, she spent much of her time and energy seeking to reform herself and the Carmelites, to lead them back to the full observance of the primitive Rule. She founded over a half-dozen new monasteries. She traveled, wrote, fought—always to renew, to reform. In her self, in her prayer, in her life, in her efforts to reform, in all the people she touched, she was a woman fo r others, a woman who inspired and gave life. "In 1970 the Church gave her the title she had long held in the popular mind: Doctor of the Church. She and St. Catherine of Siena were the first women so honored." Also check my saint's blog for more information here. If you'd like to read about my recent retreat event in PA a few weeks ago, you can click here to read the full story complete with photos. Here's an Autumn reflection I wrote from last year which was published at Catholic Exchange. 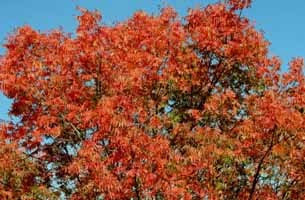 "The leaves have been changing colors and falling to the ground far too fast for me this year. Summer was difficult to part with. It was a particularly busy summer — leaving no time for rest or relaxation for me. How I longed for just a little bit of summer "pausing." That was not in the plan for me this year. Now, it's merely a season past and I'll need to wait a year to experience it. However, Autumn promises to bring its own gifts and beauty which oftentimes is breathtaking to me as I delight in a moment's respite observing the sun's rays pouring through white fluffy clouds that dot a turquoise sky, softly bringing a glow to the rich Autumn colors of reds, oranges, and golds. As a lover of nature, the warmth of these images can be felt straight through to my heart. Leaf piles of years past come to my mind and the remembrance of lighthearted squeals from my kids throughout their carefree and tireless jumping. The air, feeling crisp and clear, with the crunching of leaves underfoot, beautiful star-decorated night skies — oh, glorious nature! Thank you, Lord for its beauty that fills our earth! The smells of apples permeate the air as we reach to pick only the perfect ones from rows and rows of trees, filling our bags at the orchard. 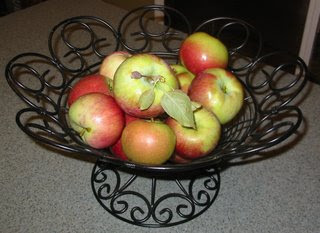 The sweetness of the apples quenches our mouths as we sample a few in order to make good choices! Apple picking has become a tradition in our family — a way we welcome the fall weather. The air turns brisk and we feel called to head to the orchard. 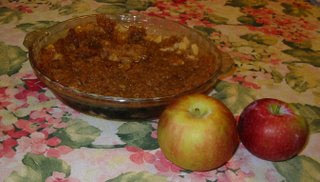 I'm not sure what is more pleasant for me, the trip to the orchard with as many of my children — young and old — as are able to come, or the subsequent peeling, slicing, and assembling of our delicious red treasures into apple pies, apple crisp, and apple sauce to enjoy — with lots of cinnamon, of course! I absolutely love gathering my family together at every opportunity! There's also something very special about family members working together in the kitchen. Some may worry about the mess; however life is too fleeting to be concerned with spilled flour. We need to fully enjoy our together time. Pumpkin picking and carving are also activities that we enjoy together in the fall. We like to go to a local pumpkin patch at a farm and pick out some of these great vibrant orange vegetables to adorn our porch steps. 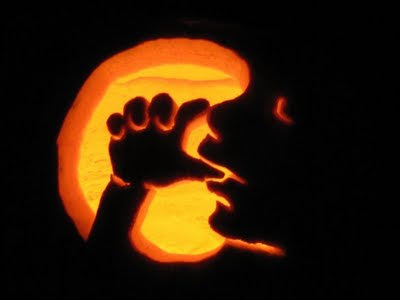 Carving becomes an art form in our household because we have many artists in our family. This year, I stood in line at the post office after packing two boxes with plenty of newspaper that were being sent to different colleges. My boxes were marked, "Fragile and Perishable!" on every side. As the clerk weighed my parcels, I proceeded to tell her that I was sending pumpkins to two of my children who were away at college, since I knew they wouldn't have occasion to get one for themselves and would appreciate being able to have a remembrance of home in New England. The clerk smiled and I hoped that they would arrive without breaking or rotting first! Every family can begin their traditions when their children are small, enjoying special times together which will ultimately create fond memories that will be reminisced about in many future years. They'll also pass on family traditions to their own children. Is it time for hot chocolate yet? Thank you, Dear Lord, for Your many blessings found in nature and for a family in which to enjoy them. 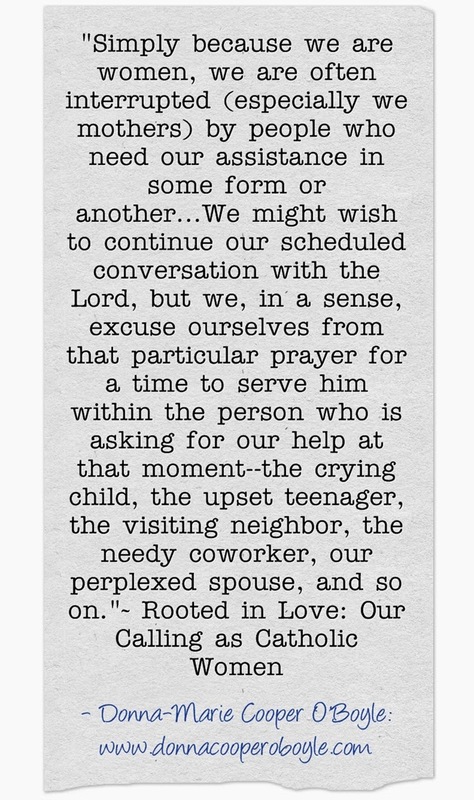 Thank you, Dear Lord, for Your love!" By the way, I didn't really pause this summer either! Maybe next year. :) I am looking forward to having all of my "ducks in a row" though very soon and heading to the apple orchard! Pehaps I'll post some yummy recipes soon. If you have one you'd like to share, please do. 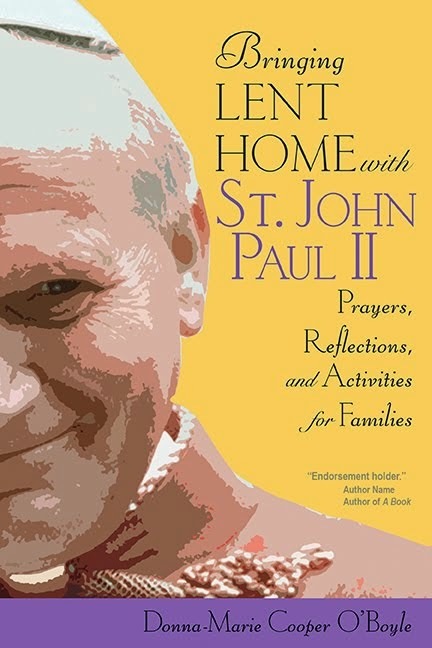 Faith & Family Live has a write up today about my new series at EWTN. Go on over and take a look. 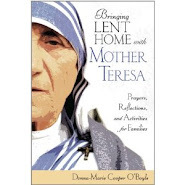 Amazon is now taking pre-orders of my Mother Teresa book: Mother Teresa and Me: Ten Years of Friendship. You can go here to order. You can also pre-order through my website (an autographed copy) or by clicking on the book cover image at the top left column of this blog. I am told by the publisher that it should be released soon. 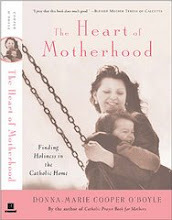 Go on over to Catholic Mom.Com to read an article I wrote on motherhood. Visiting the EWTN studio this past week to film my new series! I'm sharing some snippets of my week at the EWTN television studio in Irondale, Alabama this past week. It was great to return. I had been there last year to tape an episode of EWTN's Bookmark with the ever-gracious Doug Keck. I also participated in a series for the Faith & Culture show with host, Colleen Carroll Campbell in a roundtable discussion with a few other women who also had attended the Vatican international congress commemorating the twentieth anniversary of Mulieris Dignitatem in Rome last year. EWTN is an amazing place to visit. I returned there this past week to film 25 segments of a series of short segments for Catholic Moms called: Everyday Blessings for Catholic Moms and an episode of EWTN's Bookmark show. It was so wonderful to be able to participate at holy Mass each day and vespers during my time at EWTN. Incidentally, after I returned home, a friend came up to me before Mass tonight and told me that she had seen me on EWTN TV at Mass and she thought that was so special. I happened to catch part of the Mass on TV last night while I was catching up with some emails upon returning home. I put on EWTN (the only channel I watch) as a background at the time. When I noticed it was the same Mass I had attended that morning, I took notice. It was interesting to see the people at Mass that I had met during my stay there. Then, I was surprised to see myself there at Mass too! Sure, I knew I had been there for Mass at 7:00 am earlier that day, but I guess I never expected to see myself on TV at Mass. So, about the series...the production department put a lot of time and thought into creating the set for my series: "Everyday Blessings for Catholic Moms." The photographs you see here on the set are from my own home. I really thought that was such a nice touch. The set designer and art department did a great job. Here I am on the set of "Everyday Blessings for Catholic Moms." Waiting a moment between segments while director, John Kuklinski looked on. Cameraman, Roger, and Michael, the producer (right) prepare a set for some taping. I enjoyed working with all of the camera crew as well. Standing with Michael Baker, my producer (on the left) and Peter Gagnon the Program director for EWTN. It was great working with these gentleman. It was also a blessing to work with Lee South, the producer of EWTN's Bookmark show. Michael by the camera in the Franciscan chapel. We had special permission to use the Friar's private chapel for something we needed in the series. He snapped a shot of me too. A part of the set - one of my wedding pictures. I'll be sure to keep you posted about when my series will premiere. It should take a couple of months to put it all together. The EWTN's Bookmark segment with Doug Keck that I also taped while at EWTN will most-likely air before or during Lent next year. Doug interviewed me about my books: The Domestic Church: Room by Room: A Mother's Study Guide (Circle Press) and Grace Cafe: Serving Up Recipes for Faithful Mothering (Circle Press) as well as mentioned some of my previous books and a mention of my forthcoming Mother Teresa book: Mother Teresa and Me: Ten Years of Friendship (Circle Press) and my forthcoming book with Alpha/Penguin: The Heart of Catholicism. Please pray that my series: Everyday Blessings for Catholic Moms will help to inspire Catholic and Christian mothers everywhere. Also, please keep the wonderful people at EWTN in your prayers. I met so many of the faithful followers of Christ who work behind the scenes and in every aspect of the ongoing evangelization work at EWTN. I really felt a part of the EWTN family. I feel very blessed and I want to share those blessings with all of you. Thank you in advance for your prayers that my series for Catholic Moms will come out well and help to uphold the dignity of the vocation of motherhood and also remind Catholic mothers about the beauty and holiness of their role as mothers in the hearts of their homes.